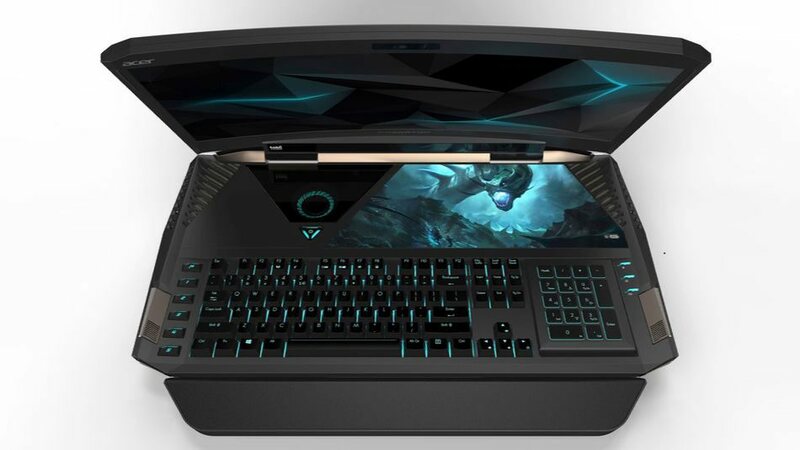 Acer has announced new Predator 21 X gaming laptop. The new Acer Predator 21 X is the first notebook with a massive 21-inch Curved-Screen, integrates eye-tracking technology and NVIDIA G-SYNC technology. The new gaming laptop also features 7th Generation Intel Core processors and dual NVIDIA GeForce GTX 1080 graphic cards in SLI. Acer also launched a new Swift 7 slim laptop. Intel 7th-Generation Core processors, 5 cooling fans. Dual NVIDIA GeForce GTX 1080 GPUs in SLI. SoundPound2+ (4 speakers and 2 subwoofers), 3-way audio and Dolby audio.